The Oak Ridge Boys. Image provided. 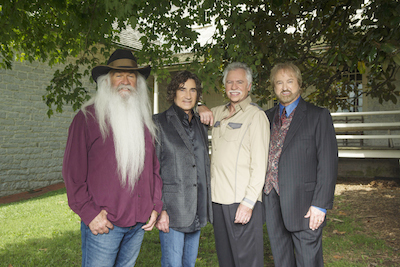 Newton, NJ – The Newton Theatre welcomes legendary Country band The Oak Ridge Boys on Friday, March 18, 2016 at pm. Tickets will go on sale to the general public on Friday, December 4th at 11:00 am. Theirs is one of the most distinctive and recognizable sounds in the music industry. The four-part harmonies and upbeat songs of The Oak Ridge Boys have spawned dozens of Country hits and a Number One Pop smash, earned them Grammy, Dove, CMA, and ACM awards and garnered a host of other industry and fan accolades. Every time they step before an audience, the Oaks bring four decades of charted singles, and 50 years of tradition, to a stage show widely acknowledged as among the most exciting anywhere. They have scored 12 gold, three platinum, and one double platinum album—plus one double platinum single—and over 30 Top Ten hits. All in all, the current lineup has scored 17 Number 1 hits, released more than 40 albums, and achieved sales greater than 41 million albums. Few Country Music groups have had the enduring popularity, cultural significance or crossover success of The Oak Ridge Boys, a vocal harmony quartet that started out in traditional country and gospel during World War II and evolved with the times to help popularize and modernize Country Music far beyond traditional genre and regional lines. The group went through numerous lineup changes in its early decades before Duane Allen, Joe Bonsall, William Lee Golden, and Richard Sterban took control in the 1960s and early 1970s and turned it into a dynamic Country Music force. The alignment focused on high-energy vocal harmonies that brought crowds to their feet with increasingly secular music and a look and attitude that more accurately reflected the times, characterized by Golden’s still-magnificent flowing beard and fur coats. The Oaks’ contemporary look, and their increasing focus on modern Country didn’t sit well with traditionalists, and the group struggled for a few years in the early 1970s. It wasn’t until the release of the 1977 album Y’All Come Back Saloon that the Oaks hit the right formula, and when they did their popularity soared. They landed their first No. 1, I’ll Be True To You, in 1978 and, perhaps just as significantly, Paul Simon asked the group to sing backup on what would become his hit Slip Slidin’ Away, opening the door to the pop world for them. Simon wasn’t the only one to lean on their harmony. They accompanied Brenda Lee on her Grammy Award-nominated Broken Trust (1980); George Jones on his Country smash Same Ole Me (1982); and they also have harmonized behind Johnny Cash, Ray Charles, Billy Ray Cyrus, Bill Monroe and Leon Russell, among many others. National audiences learned the joy of the Oaks’ harmonies when the group’s biggest hit, 1981’s Elvira, became a crossover pop smash. The song brought them one of their five Grammy Awards, went double Platinum and helped bring much-needed fun to a genre that had a reputation for weepers and hard times. The group also helped open the doors for Country Music on network television, with a number of nationally-televised concerts, including HBO and PBS specials, and as hosts and performers on prime time. They hosted their own series,The Oak Ridge Boys Live From Las Vegas, for TNN in the late 1990s. The Oak Ridge Boys were inducted into the Gospel Music Hall of Fame in 2000. Bonsall and Sterban were inducted into the Philadelphia Music Alliance Walk of Fame in 1994. Golden received the Alabama Music Hall of Fame’s Life Work Award for Performing Achievement in 1997. And Duane Allen was honored with induction into the Texas Country Music Hall of Fame last year. Tickets for The Oak Ridge Boys range from $59.00 to $79.00. 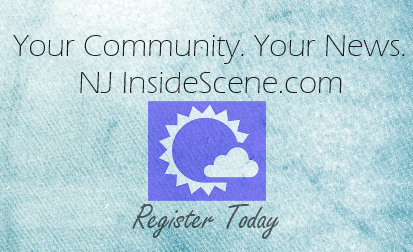 Purchase tickets by visiting www.thenewtontheatre.com or contact the Box Office at 973-383-3700.